Firefox provides a set of keyboard shortcuts that allow you to perform common tasks quickly. You can open and close windows and tabs, navigate through pages and open tabs, create bookmarks, open history, zoom in and out, and much more, with just a few keystrokes. For those of you unfamiliar with how keyboard shortcuts work, I would recommend reading my introduction to the subject really quick. Firefox add-ons are applications that allow you to enhance your browser by adding functionality and style. You can check the weather and news, block ads, download videos, take full-page screen shots, customize tabs, play games, compare prices, backup, interact with social media, and so much more, just by utilizing Firefox add-ons. From your menu bar, simply click Tools > Add-ons, and you can browse or search through the hundreds of thousands of add-ons available. After installing Firefox, my first move is to enable the menu bar by right-clicking the tab bar and selecting Menu Bar. In my experience, the menu button (found on the navigation bar and characterized by 3 horizontal lines) lacks several valuable options that are found on the menu bar. With the menu bar now visible, I can find Tools > Options and explore the options available. Here, decisions are made such as what home page you see every time the browser starts, what directory files are downloaded to, and whether or not your passwords are saved. 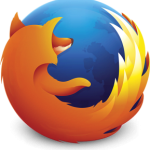 The Firefox browser is open source software, so it’s free, and there are versions that work on either Windows or Linux. Firefox comes packaged with Fedora, as well as most other versions of Linux, so Linux-users should already be covered. For Windows-users, you can download the latest version of Firefox from the Mozilla website. 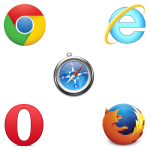 A browser is the computer program that you use to browse the internet. Browsers work by reading files that are written in a mark-up language called HTML, which tells the browser how to structure a web page. Browsers also interpret CSS (Cascading Style Sheets), which turns basic web pages into the colorful, aesthetically-pleasing web pages we all know and love.